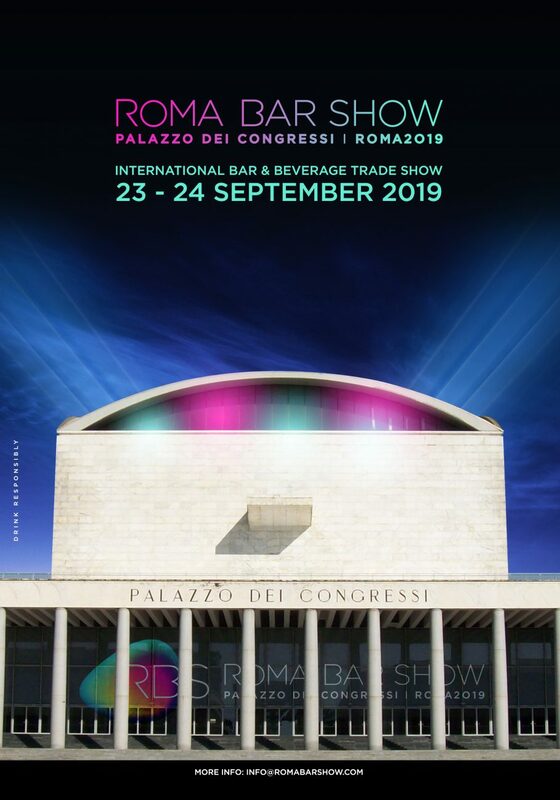 Monday 23rd and Tuesday 24th September 2019, at the Palazzo dei Congressi in Rome from 12:00 until 21:00, the first edition of “ROMA BAR SHOW” will be held, an international event exclusively dedicated to the beverage industry. 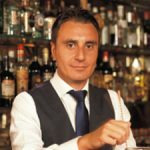 The ROMA BAR SHOW project was born out of a request for the bar industry, and those working within it to meet and engage at an Italian event and platform with international relevance, with the aim of raising the profile of the cocktail and spirit industry in Italy. The event aim is to become the leading bar, beverage and hospitality event in Italy. The ROMA BAR SHOW will be an opportunity to discover the latest industry innovations in terms of products, cocktails, trends, raw materials, equipment. Starting from this, its first edition, the ROMA BAR SHOW will boast a packed programme that will engage Rome in an intense line-up of master classes, talks and conferences, side-line and in the city pop up events dedicated to the trade and the consumer that will involve the city for the duration of the entire event. Speakers will include industry professionals and international guests, who will share their experiences and knowledge on trends and industry innovations. The ROMA BAR SHOW will not only be an exhibition space, but rather a stage where new experiences can be tried first-hand through the stories of the participating brands. Among the dedicated spaces are the evocative Le Terrazze of the Palazzo dei Congressi with its splendid views that embrace the entire city of Rome, the prestigious open-air theatre and the hanging gardens that complete the outdoor spaces where the exhibiting companies will recreate new spaces with a different feel. The event as a whole will be enriched by the participation of a prestigious pool of international bartenders. Every year the ROMA BAR SHOW COCKTAIL BAR will pay tribute to a classic of Italian mixing. In its first edition RBS will celebrate the centenary of Negroni represented in the interpretations of Italy’s foremost bartenders. Special attention will be paid to the world of food, pairings, and the use of coffee in mixing through tastings and performances with highly innovative and artistic content. The event management of the ROMA BAR SHOW will release further news in due course.